So here we are with part 2 of our home exteriors special. Last time we talked roofing, this time I'm going to touch on paint, and in our next post we will talk gardening. 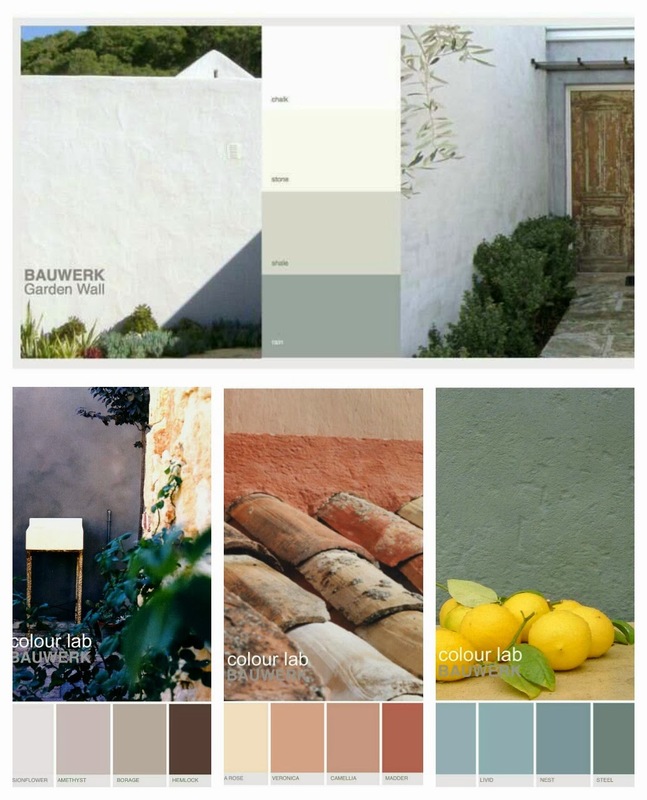 Ok, so I have recently become a tad obsessed with a boutique Australian paint company called Bauwerk Colour. 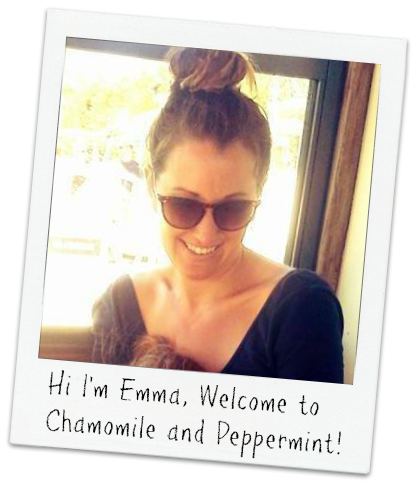 It all started with a post I read at Recycled Interiors, where Helen had used Bauwerk interior paint in her bedroom. 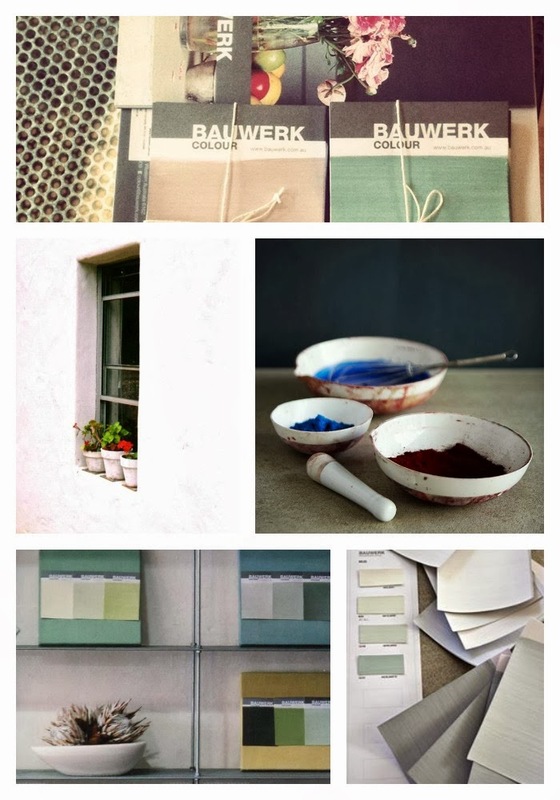 I followed the rabbit hole to Bauwerk's pinterest page, and being the image orientated person I am, was immediately hooked not only by the inspiration used in their colour development, but particularly in the look of their exterior paint. You just want to run your hands over it. I find it reminiscent of Mediterranean lime washed walls - with a really natural texture and stunning colours. This, unsurprisingly, is due to the fact that Bauwerk paints are made from lime and natural pigments, which makes them zero VOC and super healthy for both the environment and those living within your home. They also allow walls to breathe, are 100% UV stable and are non-flammable. They have developed different paints for different surfaces - lime or cement rendered walls, brickwork, stone, rammed or stabilised earth, cement blocks and even strawbale. The creatives behind Bauwerk also derive a huge amount of their inspiration from their travels as is evident in their stunning photos. In my curiosity I emailed Bauwerk and they very kindly sent me some colour swatches that are even more delicious than in the pictures. I'm not sure why we don't see more of these sorts of textures in Australia. I certainly think that using lime paints like these both exteriorly or interiorly would add a massive statement and individuality to your space. For more on both their exterior and interior range and pricing, jump over to the Bauwerk Colour website or phone (08) 9433 1008. 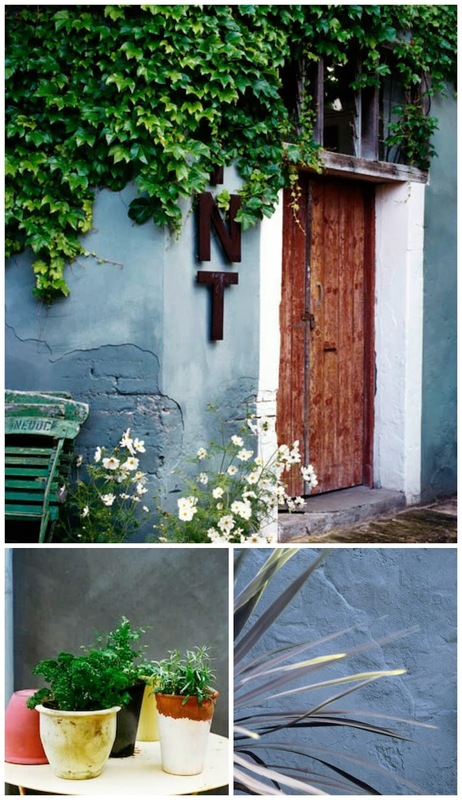 (blue walls with ivy and door) which are by photographer Petrina Tinslay. Looking for finance to complete your dream home makeover? to suit your renovation needs and turn your dream into a reality. This post was sponsored by Yes Loans. This post was in no way commissioned by Bauwerk Colour and all opinions within are genuinely held by the writer.